MediaBOOM Announce About Their Services Relaunch - The advertising agency can create great value for your business and then after that it becomes simple. In addition, the ad agency can help your product grow by promoting and developing your website. mediaBOOM, an award winning Digital Advertising Agency specializing in branding, print design, website development, and website design, announced that they were going to relaunch their services in order to achieve the best results for their clients. There are various solutions that this advertising agency can provide for various types of businesses. In order to deliver innovative solutions, formulate strategies and identify their customer’s needs appropriately, the mediaBOOM team works with each client through their proven process. The company is one of the leading digital marketing agencies that have emerged in the digital marketing industry to deliver the best results for their customers. They use the latest technological improvements to produce the most effective web solutions for their clients. Their web design company is located centrally between Hartford and New Heaven. They believe that relaunching their services will bring in fresh ideas that will help them internalize their customers’ business objectives and later use them as the main objective of their output. 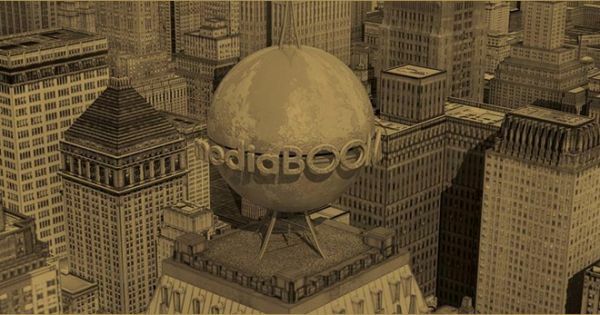 In order to expertly transform their creative vision into reality, mediaBOOM will integrate their developers’ wield cutting-edge technologies to expertly transform their creative vision into reality. On the other hand, when it comes to Branding & Graphic Design, then this web design agency comes in diligently to offer complete graphic design services, from print material, style guide creation, logo design and more to help convey your message effectively. In addition, to ensure that your brand is consistent across all marketing initiatives, the company’s team of experts can also work with your existing graphic standards. mediaBOOM will always work with their clients to understand their online objectives and that of their customers in order to figure out the best way to connect the two. While relaunching their services, mediaBOOM expects to improve their social media marketing strategies since social media can be a highly effective way businesses can use to connect with their market. Their social media package includes site skinning, the edition of social media buttons and initial setup of their clients’ Twitter, YouTube or Facebook accounts. Also, they can effectively create sign-ups on their clients’ newsletters or site and the addition of social media buttons. They can also source the perfect imagery for their clients’ sites at a reasonable rate since their designers work with their clients’ branding and style guide. The company also offers SEO packages that include website analysis, keyword research, on site SEO, off site SEO, competitive analysis, blog content creation, social media campaigns and external link building.